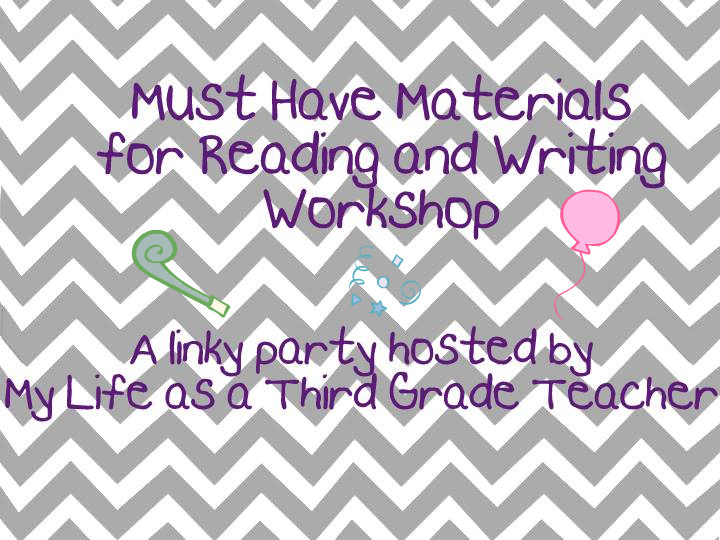 I'm linking up with Lindsay, over at My Life as a Third Grade Teacher, for her first linky party. 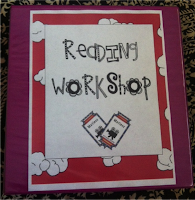 It's all about the must-haves for your reading/writing workshop. 1. The obvious, a wide range of books. My school is so fortunate to have a fabulous guided reading room. 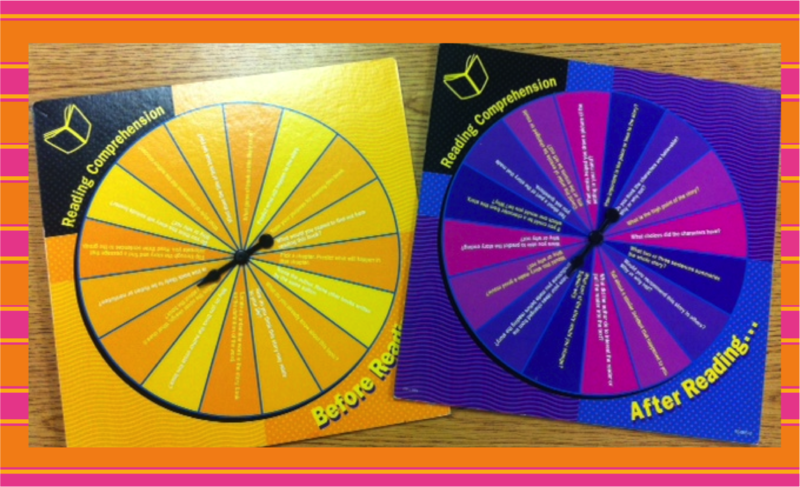 Teachers can go to the GR room and check out as many leveled readers as needed for their students. 2. I always keep these on hand. 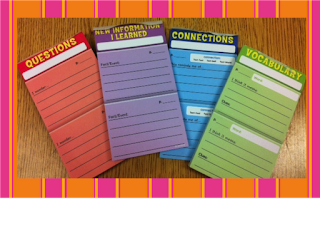 When I'm meeting with individual students to discuss the book they are reading, I will give them a sheet to help focus their reading. When I meet with them again, we discuss their sheet. 3. Spinners for my guided reading groups. Every now and then, I'll pull these out for a bit of novelty. 4. 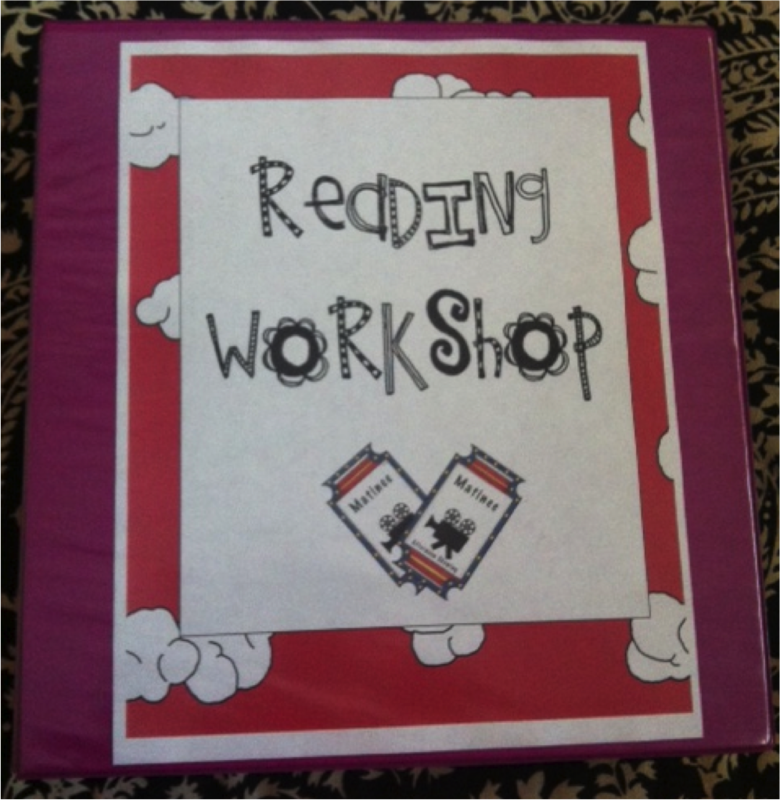 Reading Workshop Binder- In my binder I keep student information... a student's 504-if they have one, anecdotal notes, running records, reading conference notes, reading interest inventories and a calendar to keep track of meetings with each student. 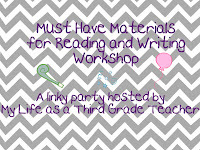 Head over to Lindsay's page and add your favorite must-haves for reading/writing workshop. Hi Charlotte- I'm so glad you linked up with me! Great ideas! I am a fan of using things for novelty purposes to spice things up too! Where did you get the discussion sheets? These are from Lakeshore Learning. I'm running out, so I need to stock up on some more. 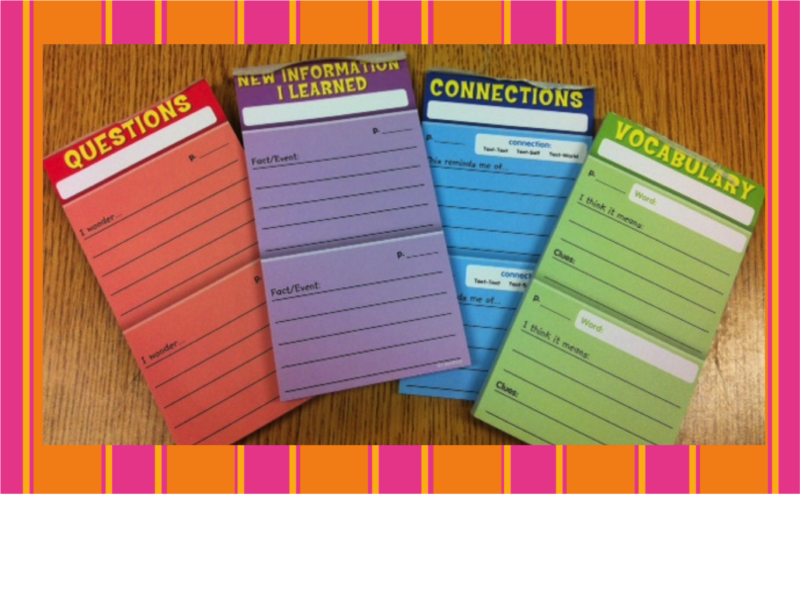 They are so easy to just tear off and give to a student. My students like to use them as book marks. Those are cool spinners, Charlotte. Do you mind sharing where you got them? I went through this Lakeshore Learning out of control buying frenzy when I moved back to third grade. It started with free Saturday-craft hopping with Emma. We would start at Home Depot, move to Lowe's then to Michael's and end at Lakeshore Learning for all the free crafts. Then we would go to lunch! Long story short, Lakeshore Learning. I also have the "Tell Me About" and "Story Elements" version of the spinners. I have looked for the notepads online and called Lakeshore and been in the store. I cannot find them. :( What Lakeshore do you go to? Maybe I could call them and have them mail? It's the Lakeshore in San Antonio. Hope they can help you!